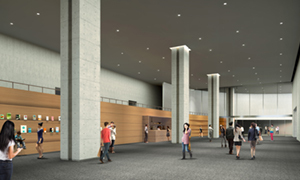 Kumamoto-Jo Hall is a large complex capable of accommodating conventions of up to 3,000 participants, equipped with various rooms for use including the Main Hall, Conference Rooms, a Civic Hall, and an Event & Exhibition Hall. 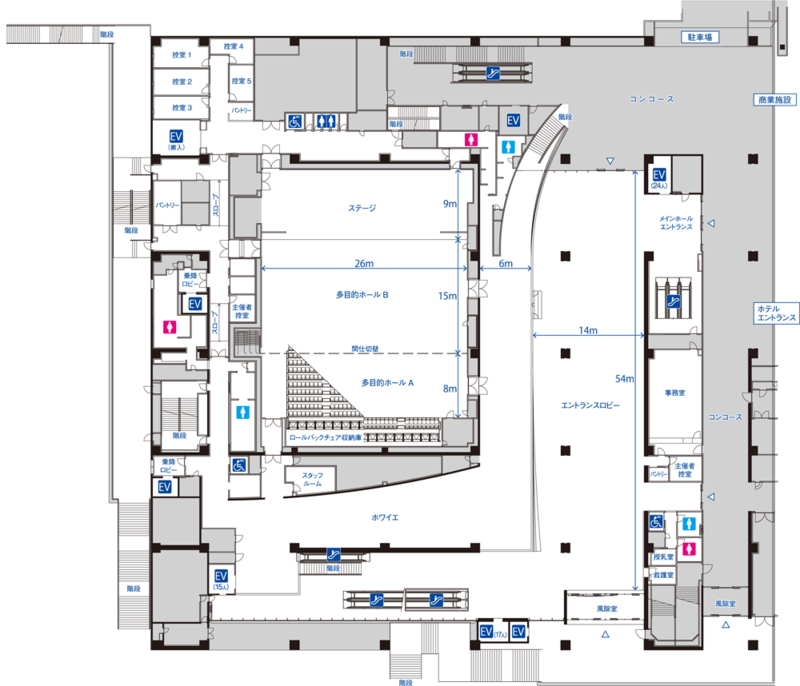 The 4th floor has a Main Hall which is large enough to accommodate about 2,300 in fixed seats, while 19 Conference Rooms of varying sizes are available on the 3rd floor for small and large meetings. 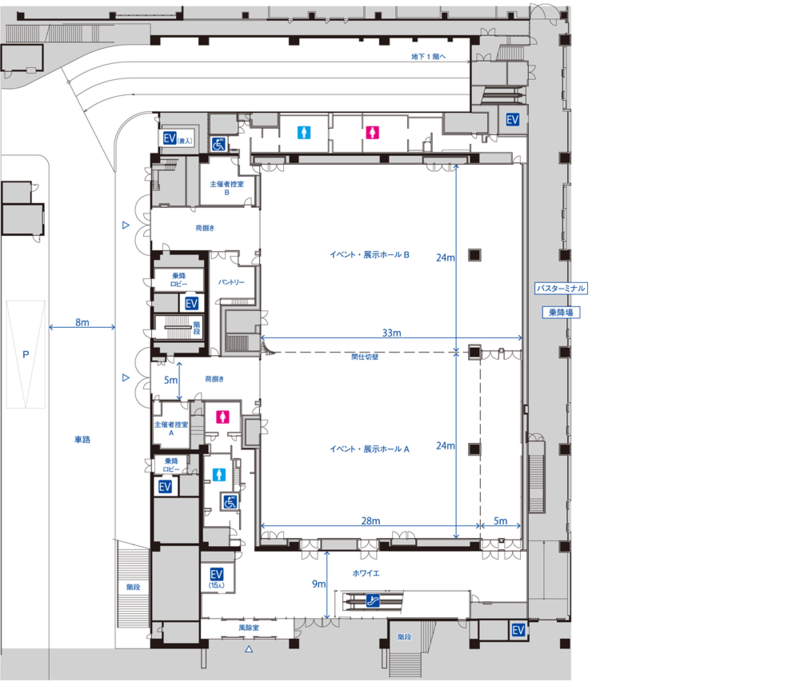 From the foyer of the Main Hall, a panoramic and spectacular views of Kumamoto Castle are observed over the 30,000 square meter roof-top garden. 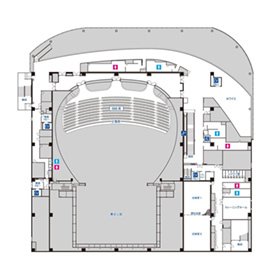 The Civic Hall (or so-called Multi-Purpose Hall) on the 2nd floor can accommodate a multitude of different events, and the Event & Exhibition Hall on the 1st floor is furnished with a load-bearing floor, which can hold heavy items to be brought in. 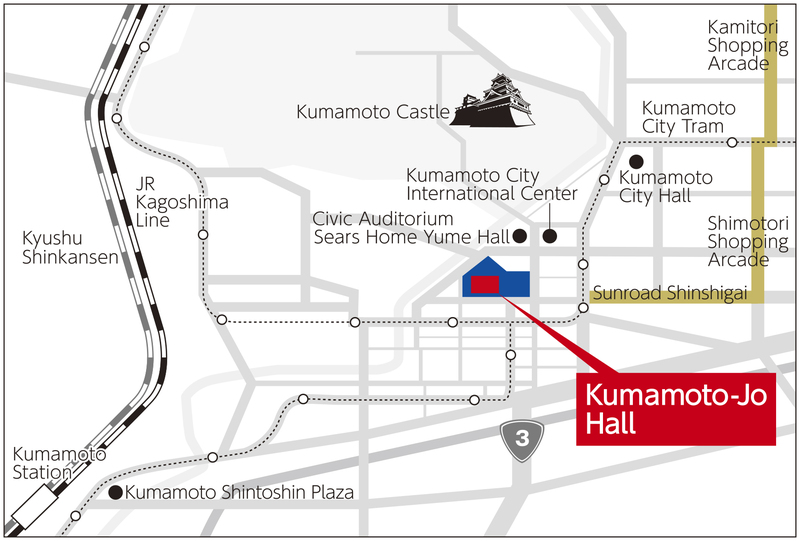 In total, the Kumamoto-Jo Hall offers to host over 3,000-participant event for various purposes you wish to hold. 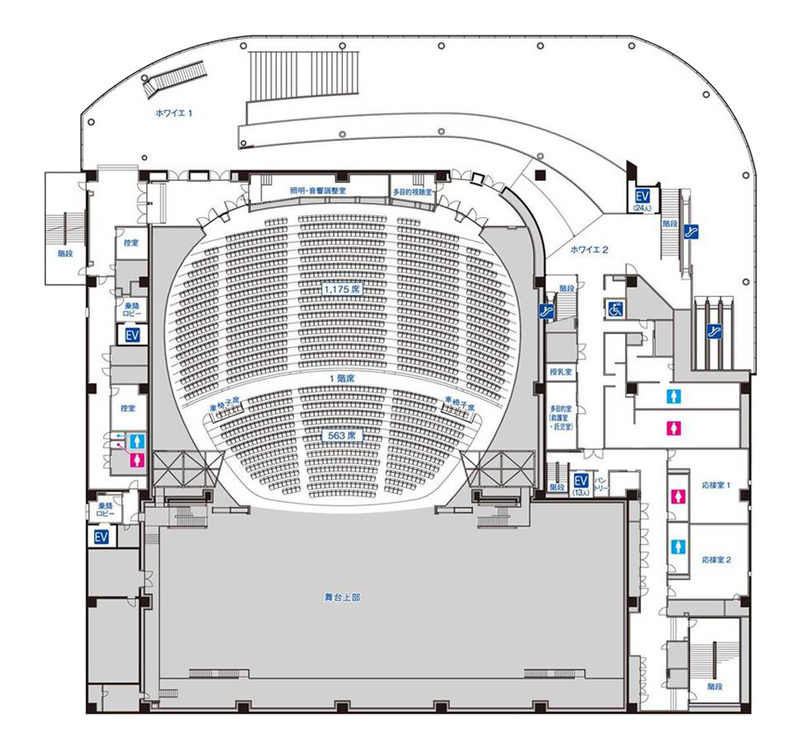 The Main Hall on the 4th floor has about 2,300 fixed seats. 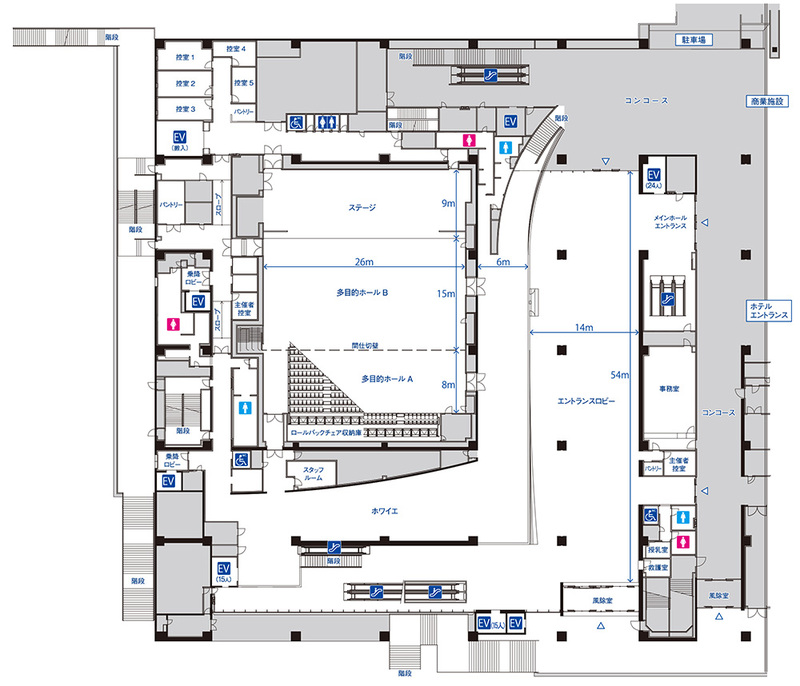 As the largest venue located in the center of the city, the Main Hall is readily available for use as a venue for cultural events, regional tournaments and symposia hosted by local residents but not limited to. 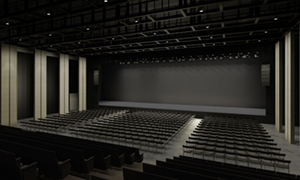 The Main Hall aims to be a symbolic space of the reborn Kumamoto-Jo Hall, striving to become the unique social and cultural piazza of Kumamoto. 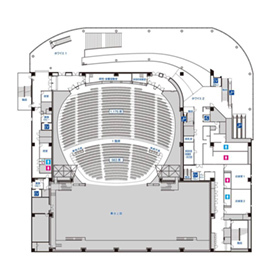 This hall can be used as the venue for concert tours or large-scale conference meetings, as well as a meeting place to bring about new interactions among people. 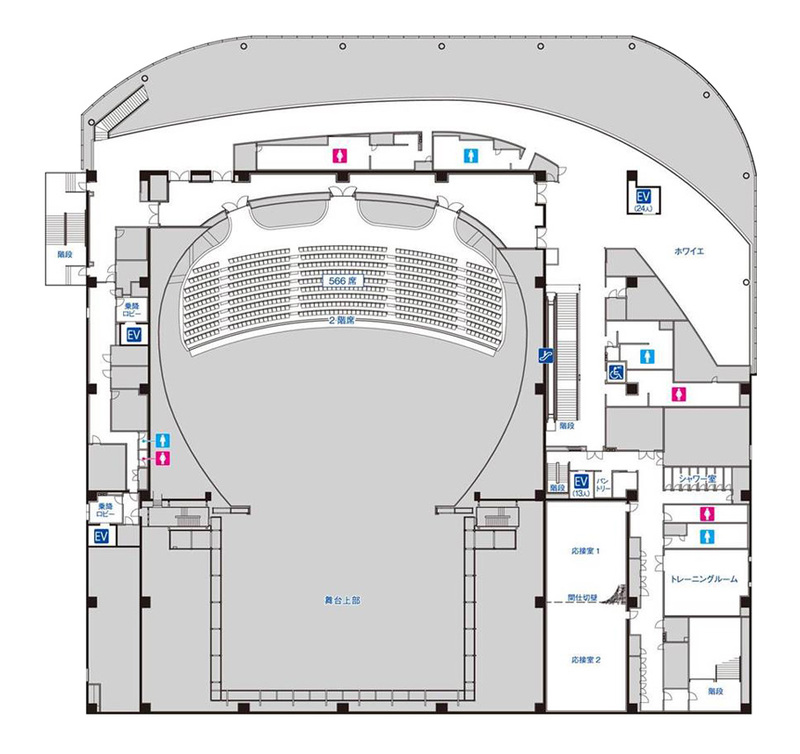 The Civic Hall (Multi-purpose Hall) on the 2nd floor can fulfill the needs of a variety of events. 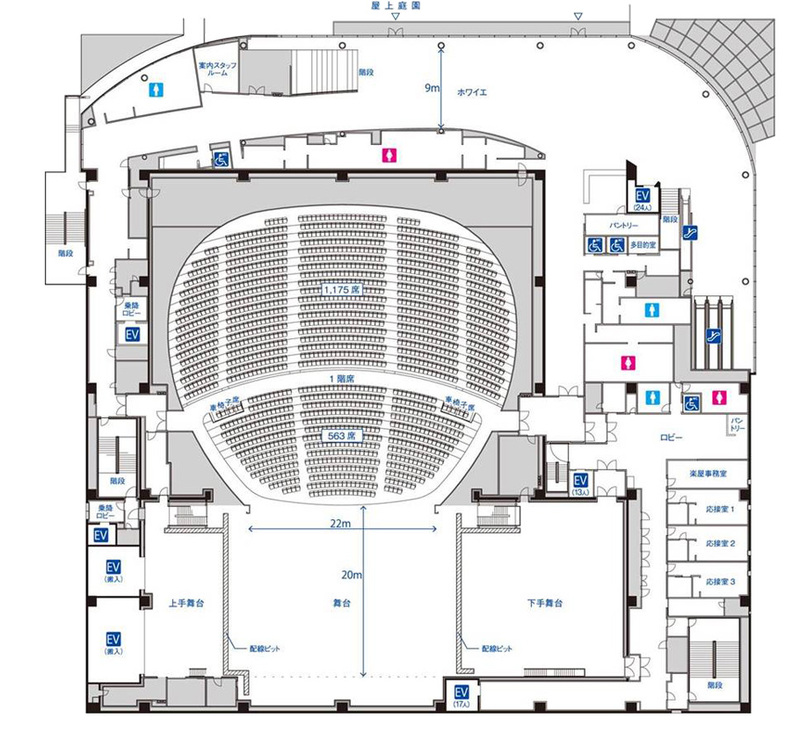 By rearranging the roll back chairs, the hall’s layout can be freely changed to fit the various purpose of the meetings, such as conferences, ceremonies, and presentations as well as to accommodate larger events like contests and symposia. 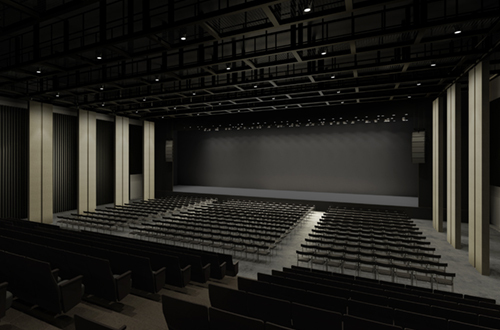 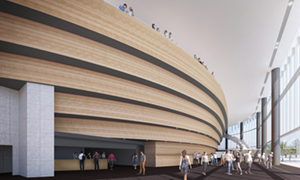 One of hall’s unique features is its built-in acoustic facilities that can be used for concerts and performances. 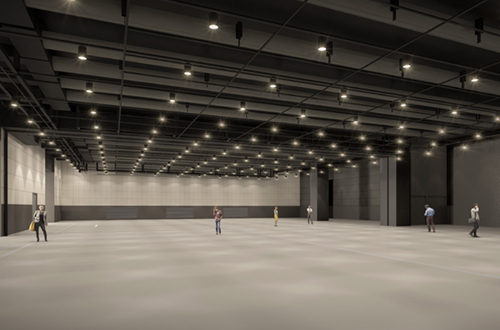 When chairs are stowed away, the hall becomes a flat floor fit for miscellaneous events such as fashion shows or even buffet receptions following the memorial events or ceremonies. 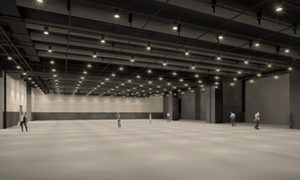 The Event & Exhibition Hall on the 1st floor is constructed with a high ceiling and a load-bearing floor, and can accommodate larger events including exhibitions, sporting events, flea markets, as well as business meetings. 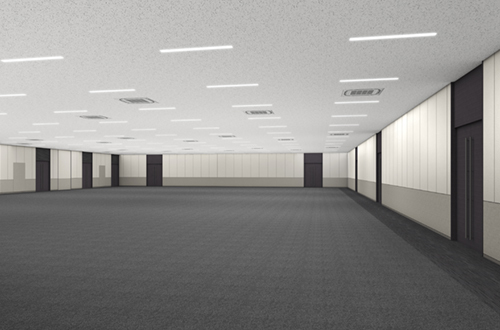 A neutral color scheme of the hall interior enables organizers to implement their own color codes. 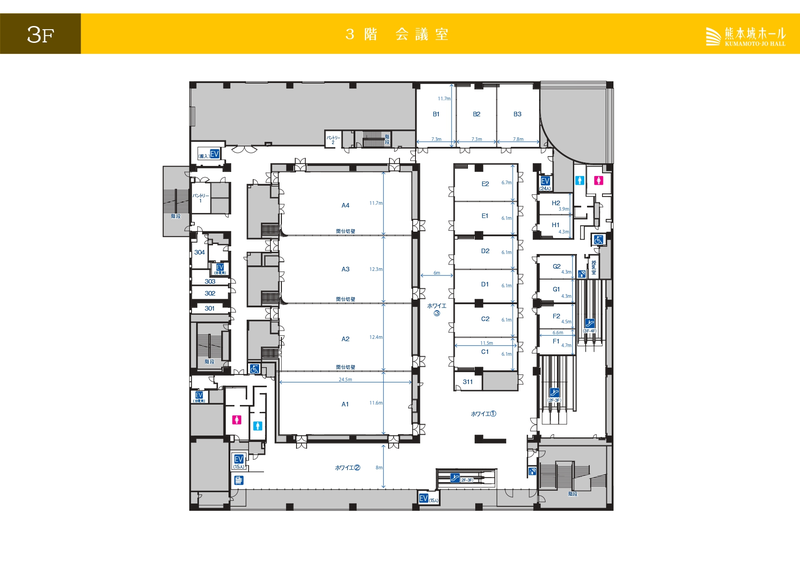 Not only that, the hall can be divided into smaller halls with partitions allowing the flexibility of various layouts. 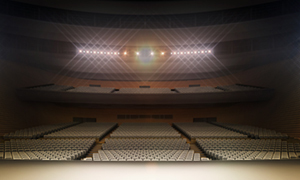 Greater expression and wider variation are realized with these flexible features. 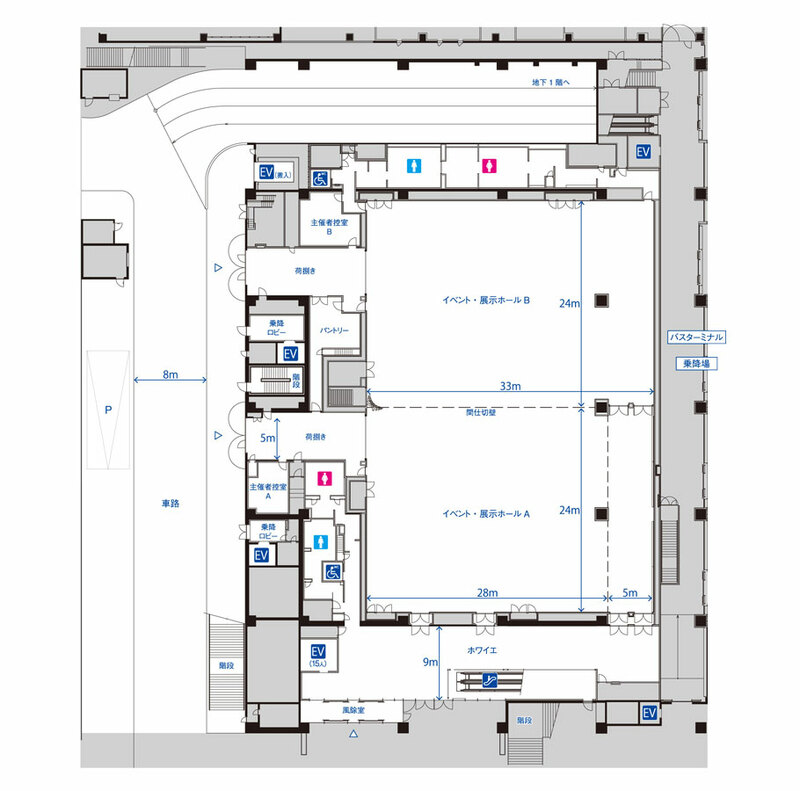 A total of 19 large to small conference rooms are available on the 3rd floor. 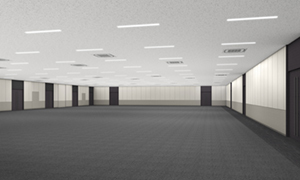 Conference Rooms can be divided or connected to accommodate different numbers of event participants. 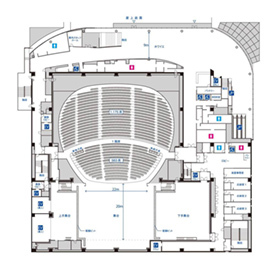 4 large conference rooms can be connected to make the space approximately 1,200m², and accommodate large-scale lectures, examinations, seminars, or exhibitions. 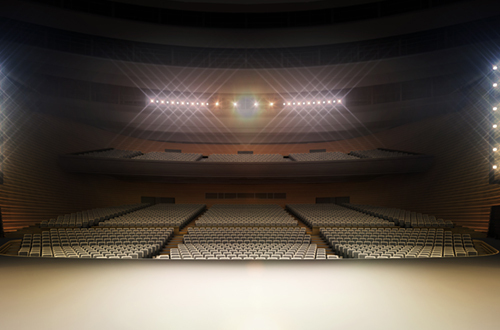 Layouts like theater or classroom-style can be arranged to accommodate events of any purpose. 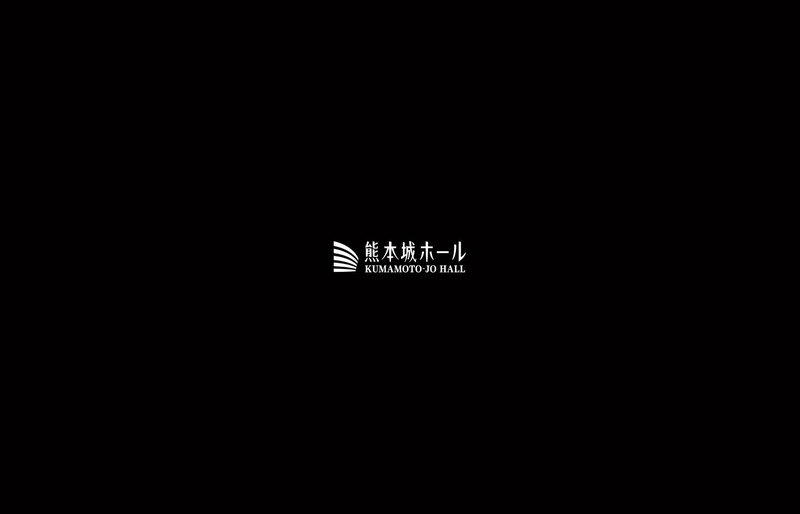 Copyright © KUMAMOTO-JO HALL All Rights Reserved.